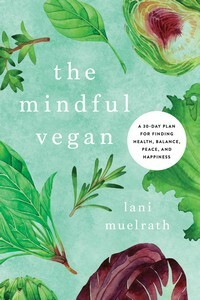 Read the full review of, The Mindful Vegan: A 30-Day Plan for Finding Health, Balance, Peace, and Happiness including Lani’s responses to the ten questions, on the Vegan Street website. “Finally, one night I read one page. Then another and another and another until it was something I wanted to ditch my other work to do. These opening thoughts are direct the review of The Mindful Vegan posted on Veganstreet.com. Over at Veganstreet. com, you can read the entire in-depth review of the book – and my responses to Marla’s ten probing interview questions posted below. See you over at Veganstreet! Here are Vegan Street’s ten questions which I respond to over at Vegan Street. Marla Rose: What do you mean when you say “mindfulness”? MR: Do vegans necessarily automatically practice mindful living? MR: Do omnivores necessarily not practice mindful living? 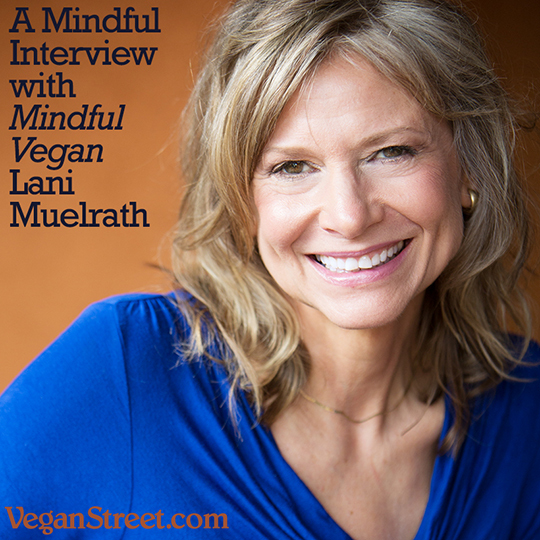 MR: How does mindfulness extend beyond the table for vegans? For example, how can we practice the habits of mindfulness coexisting in the world as vegans? What occasions might arise that call for it? It seems to me that we could be better communicators of the vegan message if we’re less reactive and more mindful. MR: What are your first signs – physical or mental – that you are not being mindful? MR: It seems to me like I hear so many people say that they “can’t meditate” like there is something uniquely wrong with them when, in fact, it is just so much about how our frenetic brains are wired that it feels alien at first and people give up. What do you say to someone who thinks she “can’t meditate”? MR: Does meditation get easier over time? Conversely, do you still have days that are challenging for you with your meditation practice? MR: How does mindfulness benefit someone who wants to transition to veganism easier? 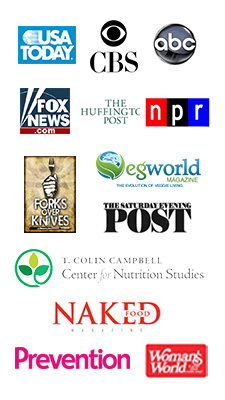 MR: Why do you think that so few people in the personal growth world adopt a vegan lifestyle? MR: I think it’s amazing that as part of the book, readers get access to your 30-days of guided meditations. It’s such a value added. What do you think makes your program different? MR: Thank you, Lani! I am so grateful for this book. My answers to Marla’s questions and more at Veganstreet. com. 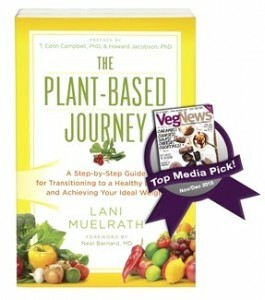 Lani, wow what a great review of your new book! Marla asked such excellent questions and it is really fun to read your responses. I am learning so much about this way of looking at things as you present in The Mindful Vegan book. You address these things in your other books too, but as i have heard you say, now you can dive deeper into this aspect of health and wellbeing and – well, as you say, happiness. I am on Day 3 of your book , love the audios, and plan to check into Insighttimer for travel. This book is such a gift and thank you for putting it together and getting it out there in the world! Yes, I remember you! Your last name stayed in my head as a connection to someone else I know and it was great to meet you in SF! I am so glad to read your comments about the review at Vegan street. I thought the questions were so good too, and all credit to Marla for knowing how to put together a splendid article! Day 3! Sounds wonderful! Keep me posted on all!